Altrincham –UK, February 16, 2012 Interact, a leading intranet software provider is pleased to announce the UK winner of its charity intranet competition, a contest open to all charities and non-profit organisations world-wide to win a free intranet solution for their organisation. 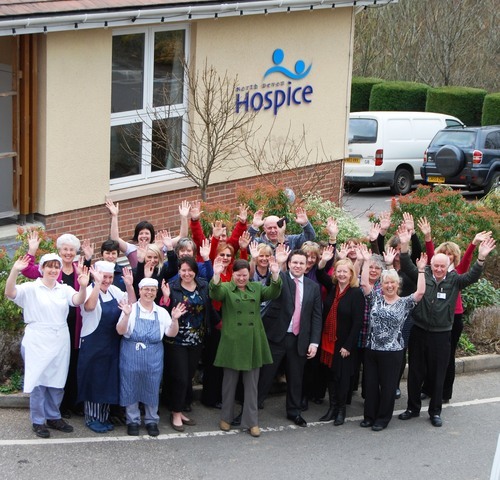 North Devon Hospice a charity supporting individuals and families who are faced with the impact of a terminal illness, were awarded the UK winner by a board of judges headed up by Sam Marshall Owner of independent intranet consultancy Clearbox Solutions and Mark Morton, Digital Media Manager of Epilepsy Action. The judges said that Interact Intranet would provide a collaborative social intranet platform for North Devon Hospice’s remote workers to discuss and share information 24/7, which is crucial for the charity which has a community nursing team operating across a large geography who are often isolated from news, events and processes. “We are really thrilled about winning this competition. We’re looking forward to rolling out an intranet for the charity and also the opportunity to work with Interact. We work remotely across the length and breadth of North Devon, caring and supporting our patients and their families. An intranet means our nursing teams can work across the rural area with the hospice in their pocket, we can better communicate between our 12 charity shops, that we can generally stay in touch with each other with more ease and refine our processes, making us more efficient…the list just goes on! Interact Intranet is intelligent intranet software created by Interact. The flexible and scalable solution has more than 350,000 users and has revolutionised the way companies communicate, collaborate, share knowledge, and streamline internal processes. It has a unique Intelligence Store which logs information such as browsing routes, search entries, document ratings and hits and uses this information to promote content to users. Interact Intranet promotes a culture of collaboration and idea sharing by using corporate social networking and micro blogs. Non-technical users can quickly and easily update the intranet. This press release was distributed by ResponseSource Press Release Wire on behalf of Interact Intranet in the following categories: Computing & Telecoms, for more information visit https://pressreleasewire.responsesource.com/about.